Start going through all those junk drawers, basement, attic, closets, garages, sheds and any other place you might be storing things you don’t need any more. It’s sometimes hard to part with things you did like or think you might have a need for but don’t be a “hoarder” (unless you want to end up on the show). Does it still work or have any current tangible value? Is it faded broken and can’t be used anymore? Will I need it in my new residence? Do I have space for it in my new residence? A general rule of thumb is that if you haven’t used the item in more than a year…throw it out. Wait …don’t just throw out your old junk…unless it’s broken and would have no value to anyone. Instead have a garage sale and some money off that old toaster oven (some guy might want it for his shop). Maybe you don’t have enough stuff for your own garage sale, ask the neighbours if they have old stuff to sell and put them together. The other thing to do is to donate to charity, Good will, Salvation Army, Church etc… You can get a tax deductible receipt to save you money on your taxes. Do you have old cloths and sports equipment? Try selling them at a consignment store, same with old furniture. You can even sell old stuff on line… www.ebay.com anyone? By getting rid of stuff you will save money on the move. For local hourly moves, it will be less stuff and therefore less time. For long distance moves that go by weight, you will have less weight and reduce your costs. Start looking for moving companies. Hopefully by now you have reduced your junk pile and lightened your load. You have also cleaned up and probably organized your stuff. This will make it easier for moving companies to give you a more accurate estimate. Whenever possible, get an “in home estimate” they are free and in certain provinces (Ontario being one of them) a mover cannot adjust his estimate any higher than 10 %. Which is great because if you are moving long distance and the price is calculated per lb., and your couch is made of concrete and the mover estimated your couch was made of feathers, he can’t come back at you for his poor estimation! Get a file together and keep everything in it. Put all estimates, business cards, phone numbers, emails, brochures and pamphlets in this file and keep it available. Get a bunch of moving estimates at least 1-2 months prior to move. 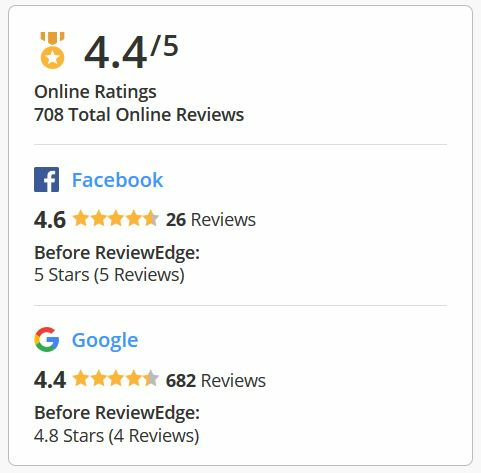 This will give you time to check out the moving companies review, referrals etc. You can save time by using a Moving portal that will provide you several estimates at once like www.moveit.ca . This will save you the hassle of finding a reputable mover. You save both time and money. These companies have done the research for you and due to volume of moves and direct competition, the prices are very good. It’s like Travelocity or Expedia for moving companies. You also have their support because they remove bad companies and since the moving companies get so much business through these sites, they don’t want to lose the business and correct any issue right away. Always get a written estimate. Get a free “in house estimate”. Make sure all the moving companies provide you with a copy of their insurance. Both for their workers and for the contents insurance. Confirm with the movers that it will be their company showing up on move day and not subcontracted. If you are hiring professional packers, make sure they are employees of the moving company or are under contract with them. Find out what’s required for school records. Organize doctors and health records. You may need to bind extra coverage for your items during the move. This is especially true if the moving company only offers limited content insurance. Organize and separate valuable items like jewelry. Always travel with your jewelry…never pack them to be moved on the truck. Same with a stamp collection, cash and anything else that is invaluable and unreplaceable. Start gathering supplies. Save boxes you can use. Go and get extra boxes from grocery stores, Costco, warehouse stores that throw these away. You should be able to get loaner boxes from the company moving. There are also lots of new “environmentally friendly” plastic reusable box companies out there that rent boxes. Get any other packing supplies that you may need. Save your newspapers as wrapping, use some old clothes that might be thrown out for pacing fragile items. You should also have confirmed and “booked” your mover. Typically a deposit is required and is usually 10% of the move cost…this is all that should be required by a reputable moving company. If they ask for 50% up front or money in cash only, be suspect and contact other companies. Use your credit card to book the 10 % deposit, this way you have traceability and can dispute the charge if there is any issue. This is also a good time to get a jump on all the packing. Start packing things you won’t need until you get to the new residence. Out of season clothes, books, stuff you don’t use regularly. This will help make the burden of packing less stressful if you can get ahead of it and break it down little by little over time. Start using up food in the freezer and other consumables so you have less to pack and or throw out. Limit how much you are buying at the grocery store and ask yourself “do I really need this before I move”. Start putting a plan together for where your furniture ect… will go in the new house. Takes measurements of the new room sizes to make sure everything will fit. Start notifying credit card companies, Banks, finance people, your employer of the new address. Go online to change your mailing address for the day you take possession of your new home for all other mail. Let your friends know the new address. A handy idea is to make up your new business cards with your new info on it and pass them out to whoever you need to…magnetic types are especially good because friend and family can stick them on the fridge. If you are moving to another province you might want to consider having your medical records forwarded to your new Doctor, same for the dentist etc…. Contact the mover and confirm all is set for an on time move. Call your employer and notify them that you have a confirmed date you are moving and you need the day off. Finish packing everything you won’t need a week prior to the move. Get your prescriptions refilled; make sure Doctor Records are forwarded. Makes sure you have all your kids’ school records ready to go with you. Double check all your mail and contact have your new address. Finish all last minute packing. If your taking your fridge with you, it needs to be unplugged at least 24 hours prior to being moved. Clean it out and throw away any disposable items. Make sure you have made arrangements with the mover for payment. 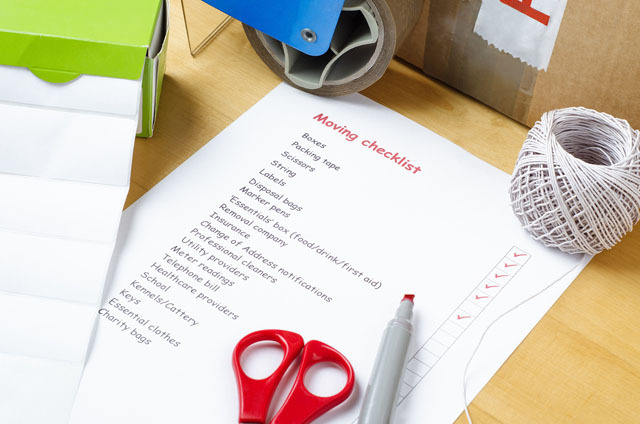 Make sure you have a moving checklist of important things to remember written down for moving day. It’s easy to get distracted. Call the movers first thing to make sure they are going to be on time…this is very important as they be delayed and the earlier you know the better. Keep Track of time and if you’re moving locally on an hourly rate, it’s important to know when they got there and when they left. Keep an Inventory. Most long distance movers and bigger van lines stick a label with a number and record every item that is moved. You should do this as well. You don’t necessarily need to label items; but you can stand by the truck with a clip board and write down everything that is loaded. Then do the same thing on the other end and check off every item being unloaded. This is important so nothing goes missing during the move. If you notice something missing after they leave, you have less of a chance of getting it back. Don’t sign the bill of lading until you are satisfied and everything is at your new residence and in good shape. Go through the old house to make sure they haven’t put any holes in the wall etc… Take pictures and video if you need to. This will be a big help if you need to make a claim. The above is just a generally guide line and circumstance change. However if you follow the Canadian moving checklist above and hire a reputable mover, your move should go smoothly and be less stressful.